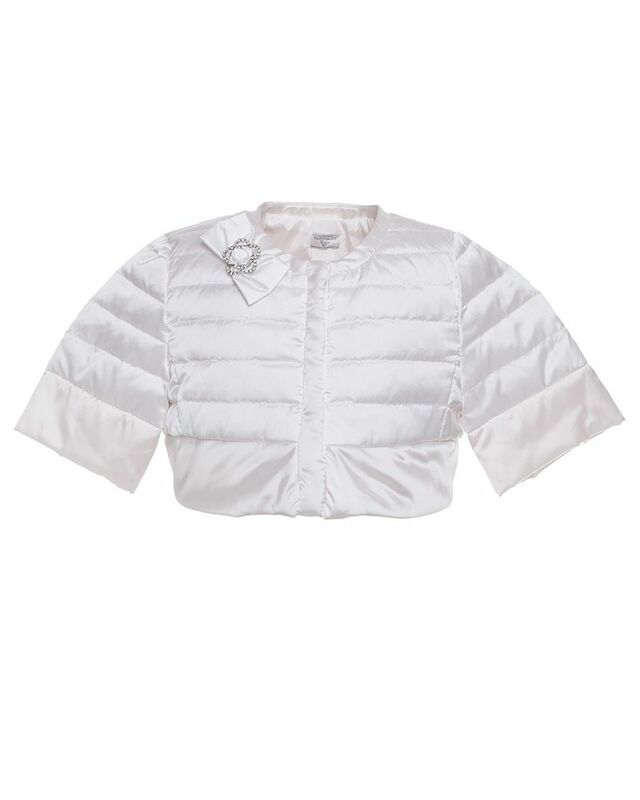 Monnalisa offwhite down jacket with 3/4 sleeves and crystal bow detailing at the shoulder. 100% Polyester, Filling: 80% Duck down, 20% Feather. Imported.